With the increase in the excise duty by 2 percent, manufacturers are taking actions to fight back this hike and making ease for customers to buy and maintain a car . Maruti a leading brand name, is eying to reduce the length of Maruti Swift Dzire to less than 4 meters with engine capacities of 1.2 and 1.3 litres for petrol and diesel respectively,so that the car can get lower excise duty segment from 22 per sent to 10 per sent. Hence the forthcoming design of the Maruti Swift D'Zire will be runt as well as cheaper from its precursor. The new Maruti Swift Dzire is expected to cost up to Rs. 40,000 less than the present model of Maruti. The present model of Maruti Swift D'Zire has length of 4.16 meters and has an excise duty of 22 per sent. Due to reduction in its length to less than 4 meters, the new Maruti Swift D'Zire will qualify for a lesser excise duty segment . The company will slash for Maruti Swift Dzire price less then current model and will give an extra price edge to the car in highly competitive entry level sedan segment. Another reason for Maruti that laid to the reduction of the length is the tenacious contender like Toyota , Honda and Skoda. The company recently launched luxury sedan, the Kizashi had to fight back hard to make space for itself there.The new, less expensive and short Maruti Swift Dzire is expected to be launched within this calendar year. 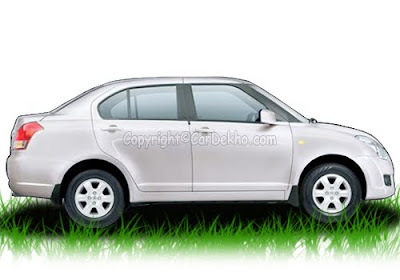 The Maruti Dzire model is at present available in both diesel and petrol versions and has been offered at price of Rs 4.88 lakh to Rs 7.07 lakh (Ex-showroom Delhi). Maruti Swift Dzire LXI, is upgraded with petrol engine and Maruti Swift Dzire VXI,i.e upgraded version of LXI also with petrol engine. 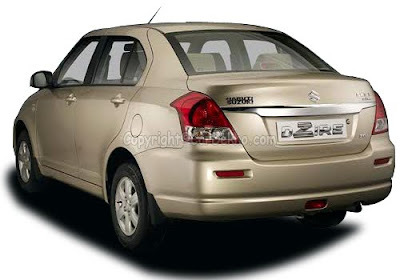 Maruti Swift Dzire LDI is the diesel variant of Maruti Dzire. I am pretty the modified Maruti swift dzire would be best.